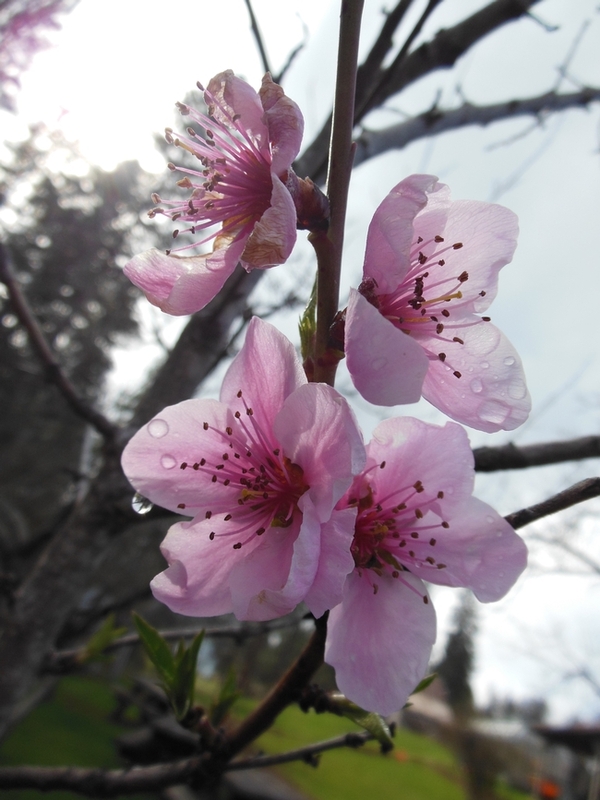 The cherries and peaches have begun to bloom at our office at the Young Family Ranch. That means it's too late for that last application of fungicide to prevent peach leaf curl. This hasn't been a wet winter, so if you sprayed your trees last fall your trees should be OK. Just relax and enjoy those lovely blossoms!